Perfectly moist banana cake topped with creamy browned butter frosting which adds a sweet, nutty flavor. 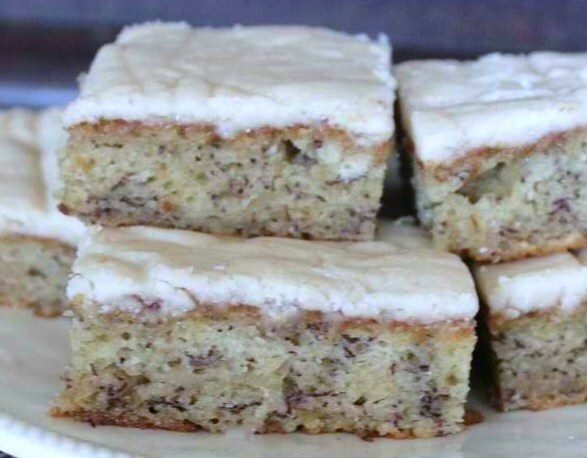 Here is an easy dessert recipe for Banana Bars with Browned Butter Frosting. Pre-heat oven to 375°F (190°C). Lightly grease and flour a 15 1/2 x 10 1/2 x 1-inch jelly roll pan. To make the banana cake bars, combine flour, nuts, salt and baking soda in a medium bowl; set aside. 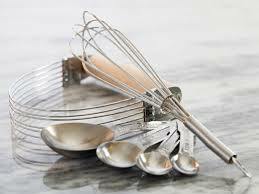 Cream the sugar, sour cream, butter and eggs in large mixing bowl on medium speed, scraping bowl occasionally, for 1 minute. Add bananas and vanilla and beat on medium speed for about 30 seconds. Stir in flour mixture just until combined. Spread mixture in prepared baking pan. Bake until lightly browned, 20 to 25 minutes. Cool completely on a wire rack. 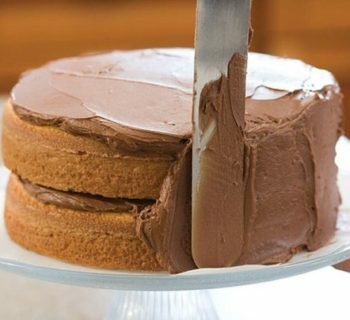 Meanwhile, prepare the browned butter frosting. Place butter in a small saucepan over low heat to melt completely. Swirl the pan every 30 seconds or so and let milk solids to slowly brown. 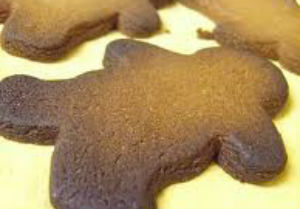 Remove from heat when delicate brown color is achieved. Beat in the powdered sugar, vanilla and milk until smooth and of spreading consistency. Spread frosting obn top of banana cake before cutting into about 2 x 1 1/2-inch bars.